Junk comes in many forms – we’re ready for it all!Household items, yard waste or a nasty pile of soil, our teams have the truck to haul it all. We promise to arrive on time, in a clean truck, and quote an upfront price. We’ll even be ready to get the job done right then and there. "I am a repeat customer as the work performed is top notch! Love that you can make an appointment for the next day and they guys are on time"
"On time, courteous and fast." "Wonderful job on our yard and back garden bed! Everything looks so clean and amazing. A huge weight lifted!" "We are pleased how hard they worked and how well the job was done. 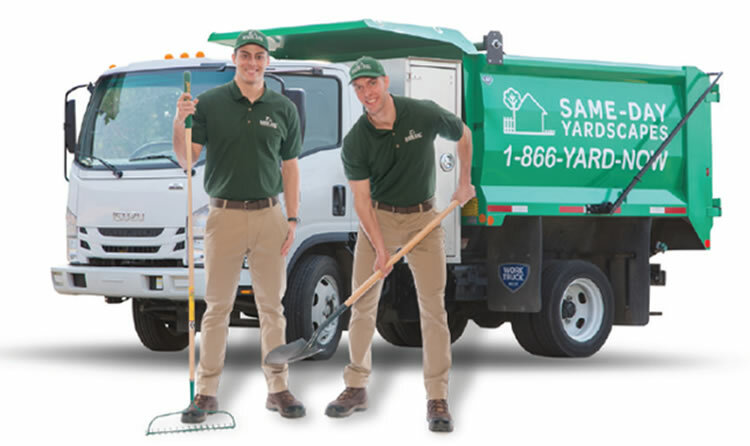 We highly recommend this company to anyone that need help with their yard work." "Excellent service. For starters, it was a pleasure when I made the first call and it was answered by a "real" person, who was very knowledgeable. The next day the operations manager came over, did an assessment, and arranged for the time to do the actual job. As planned, three of them arrived on time and did exactly as we agreed. Well done. Very communicated. No up sale or hidden costs." Copyright © 2019 Same-day Yardscapes.